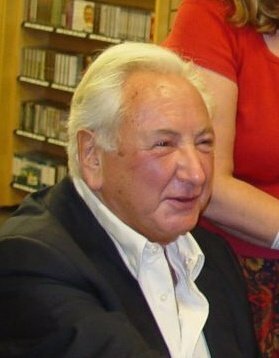 For many years, I used to look forward to reading the Winner’s Dinner column on the back pages of the Sunday Times; you always got an excellent meal of the late Michael Winner’s witty anecdotes, abundance of charm and pencil-sharp observations of his latest dining experience. It was a pleasure to consume and chuckle over coffee and toast on a Sunday morning. Sometimes, his best articles were about some of the worst places he visited – because it provided him with so much more rich material from which to mercilessly mock, slam and share. 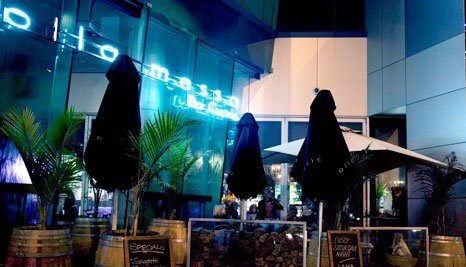 I can only imagine what he would have written if he had been to Ollamessa – an Italian restaurant in Southbank where we went on my last night in Melbourne. From the outside, it looked tempting with plenty of greenery, potted plants and a front piece of glass at the entrance, with slick water gently pouring down it, giving the place a green, tropical feel. But once inside it felt like a different world. I am sure on moving from outside to inside Michael would have called his chauffeur and made a quick exit. We were too tired to pick up on the signs and then it was too late. Inside, was very dark. The place we were taken to had black plastic seating from floor to ceiling, in a cavern like space. No windows and closed in by a long imposing wall. As we neared our table, my eyes were immediately drawn to a large, brightly lit-up glass meat fridge, where large slabs of red pig, sheep and cow cadaver hung – just like a Damien Hirst piece, all within a few feet of our table. The owner came lurching over to us. His ubiquitous white shirt stood out against the black backdrop; the buttons stretched at his belly where a mobile phone was inserted. He tried to tempt us with plates of cheese, garlic bread, cheesy bread, antipasta and other starters he deigned to list. Each time we shook our heads, he reciprocated by leering more at us more. Then he smiled and said he had been drinking since 7.30a.m – it being Anzac day – starting with 12 pots that morning. He eventually walked away but left his beery smell permeating in our nostrils. The plastic menus he left for us were greasy and plastered with too many options, covered with italic text on both sides. Too much choice. I eventually found the section on pizzas, and the first one listed comprised a strange assortment of potato, cheeses and meats. Not one I had ever heard of before – or wanted to try. The others also sounded equally unappealing. A hapless waiter arrived and I asked him if they had a pizza oven. He gave a Basil Fawlty blank look. I understood immediately and ordered instead the simplest thing I could find – spaghetti with olive oil and garlic and a mixed salad. My companions ordered a Porterhouse steak and a Saltimbocca with salad and chips. What was served and what we ordered, however, did not match up. No chips but soggy looking mash. No porterhouse just a rib-eye. My ‘mixed’ side salad was all fiery, wilted rocket leaves doused in an explosive dressing that ripped off the roof of your mouth. The rib eye turned out to be a rump of pink flesh and the saltimbocca a thick slab of fried grease. My spaghetti had been cooked for about an hour, was cold, and had the texture of baby food tinned pasta smothered in some overpowering garlic oil. As we struggled to eat some of it, the waiter then brought a plate of cheesy pizza bread – compliments of the house. Talk about adding injury to insult. We just asked for the bill. I could not get out quickly enough. As J and I stood taking gasps of the night air the other J. suddenly came running out shrieking in distress. 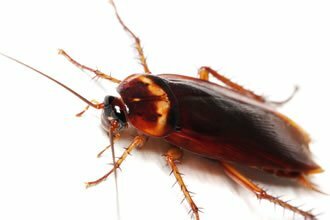 She had found a cockroach crawling up her sleeve when putting her jacket on. When regaling our story to the Melbournites, they were aghast. The city is renowned for its amazing restaurants. Surely, not possible. But ironically, it is one we will dine out on for years and remember, unlike some of the other wonderful restaurants we went to. Sometimes, it pays to endure unpleasant and shocking experiences to pit against the good ones. At least for round the campfire.